Green apple iced tea: It was okayish. 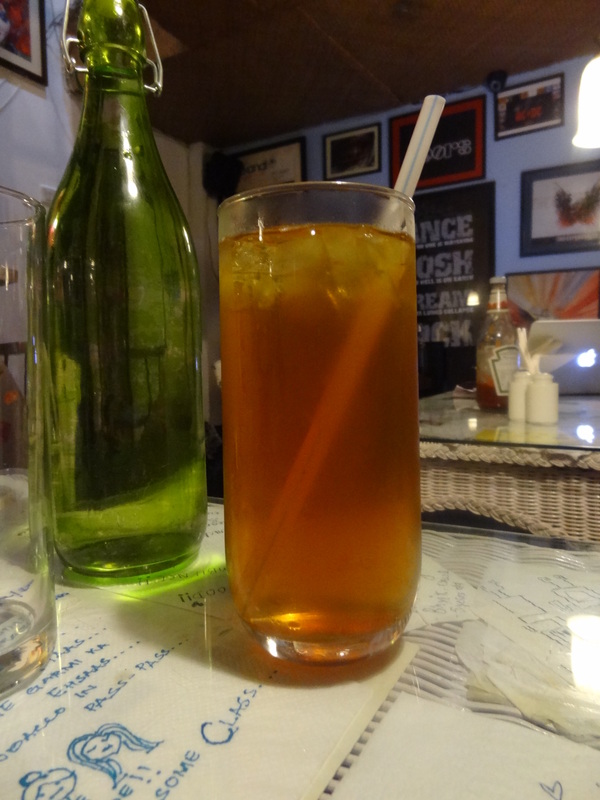 There was very less green apple in the ice tea which I didn’t like. 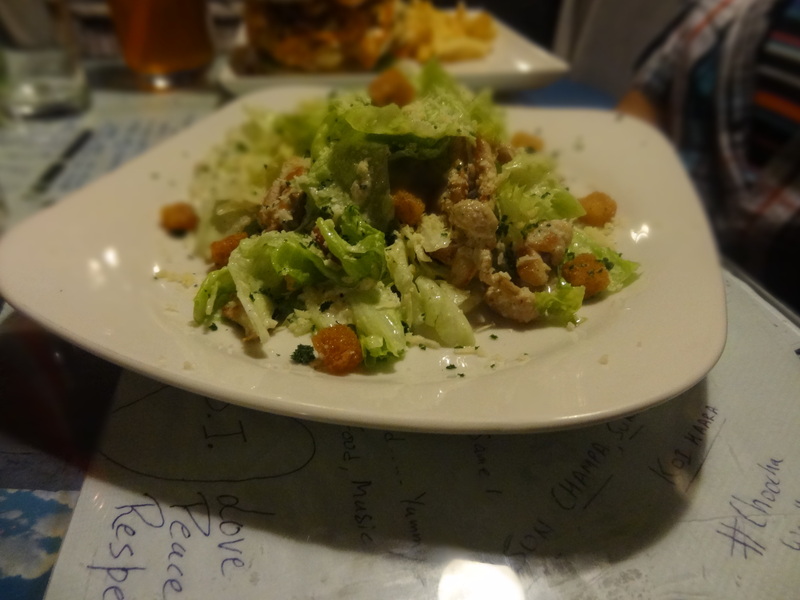 Caesar salad: Fresh and rightly made! The green leafy lettuce, melt-in-the-mouth parmesan, croutons, and several other flavours and textures blend perfectly together to make it the perfect start to a meal. WTF Burger: Impeccable! The burger was simply OUT OF THE WORLD. Vikrant, the owner of Joint Cafe challenged me to finish the burger and I happily accepted it thinking how worse it could get. But woah! 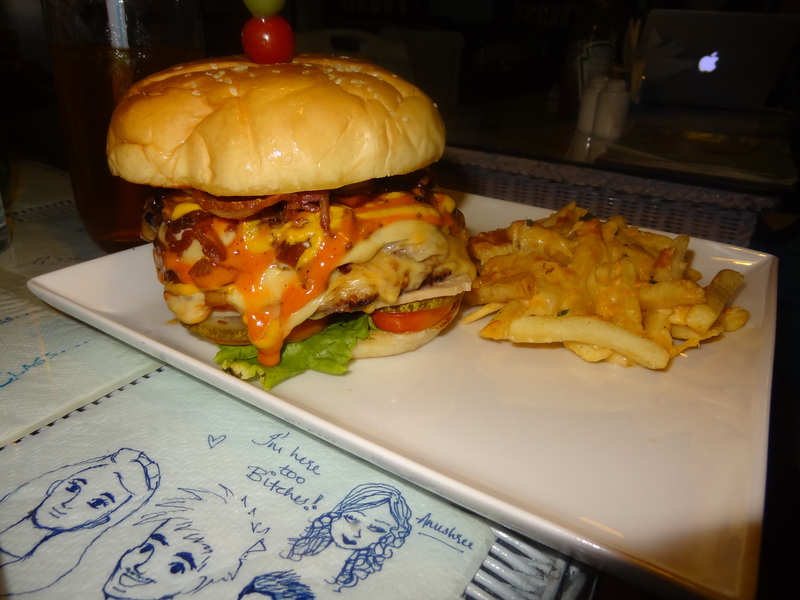 The burger was so huge and massive. And As if the burgers are not enough, they even provide cheesy fries along with them. 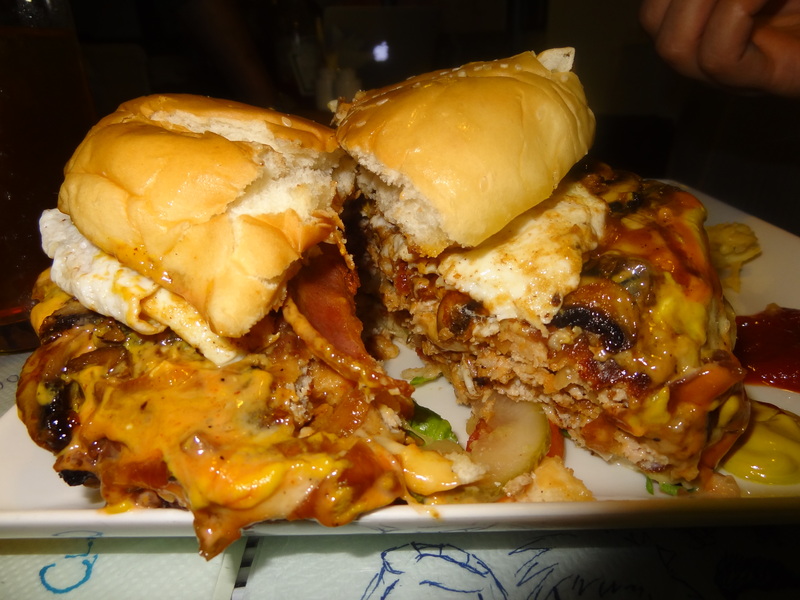 It had Grilled Juicy Lucy Double Chicken Patty, Triple melted cheese, ham, bacon strips, mushrooms, fried egg and caramalized onions. The chicken patty was really very juicy. I really relished. 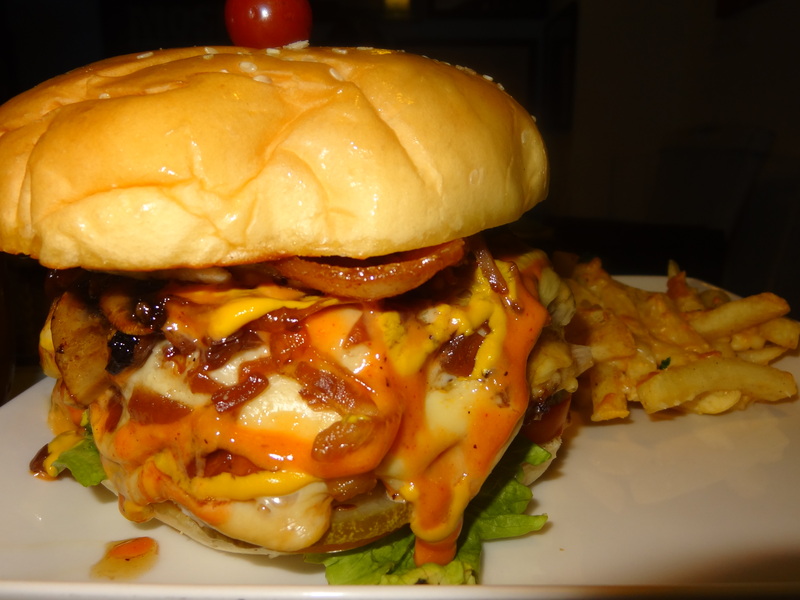 The BEST burger I have ever had. Period. 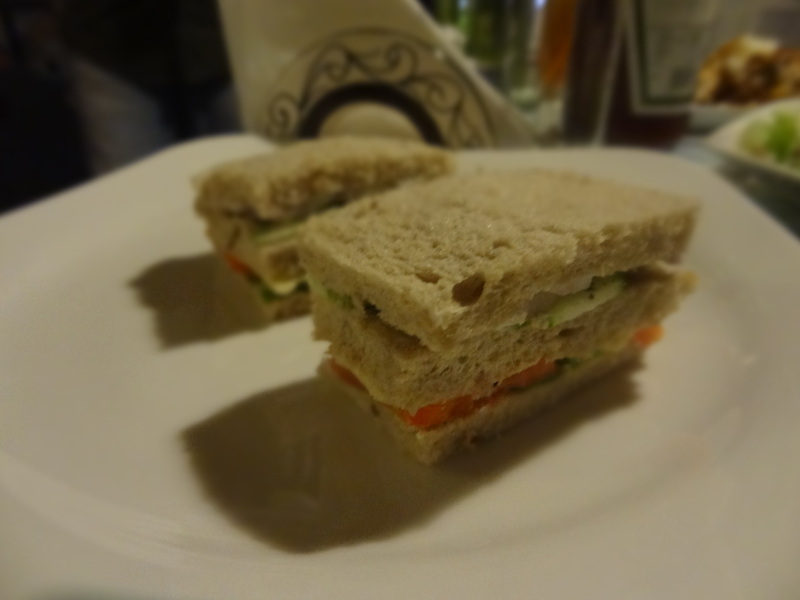 Garden Sandwich: This was a let down for me. The taste of onions was overpowering everything. 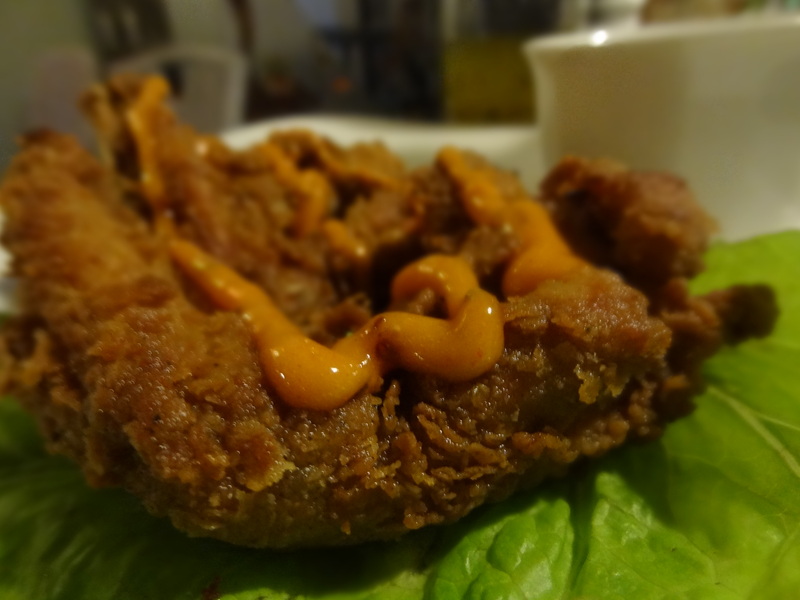 Deep fried classic crumb chicken wings- Very nice. Fried to perfection, crispy and tasted wonderful. 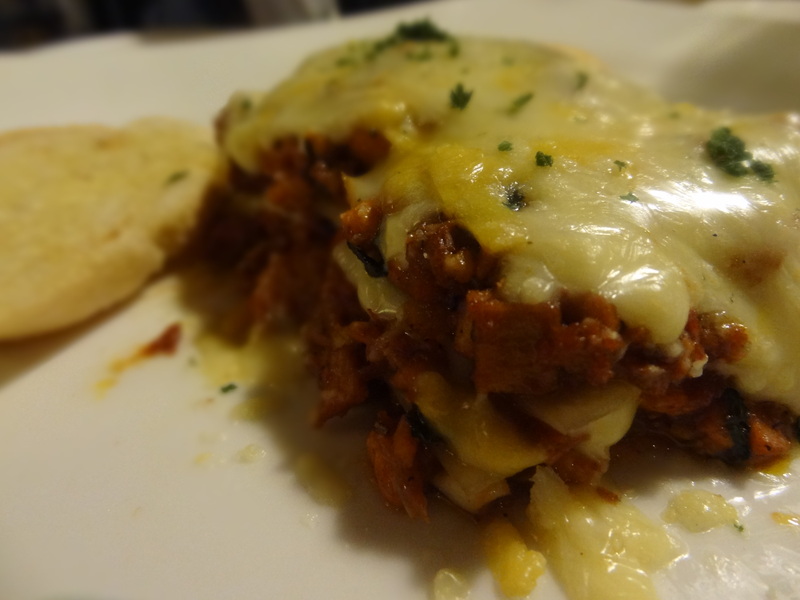 All meat Lasagne: Honestly, was too full by the time I ate this. It had Chicken Ham, Chicken Sausage and minced lamb. It was nice. Unfortunately, this place doesn’t serve desserts. But the food definitely made it up for it. The service was quick. 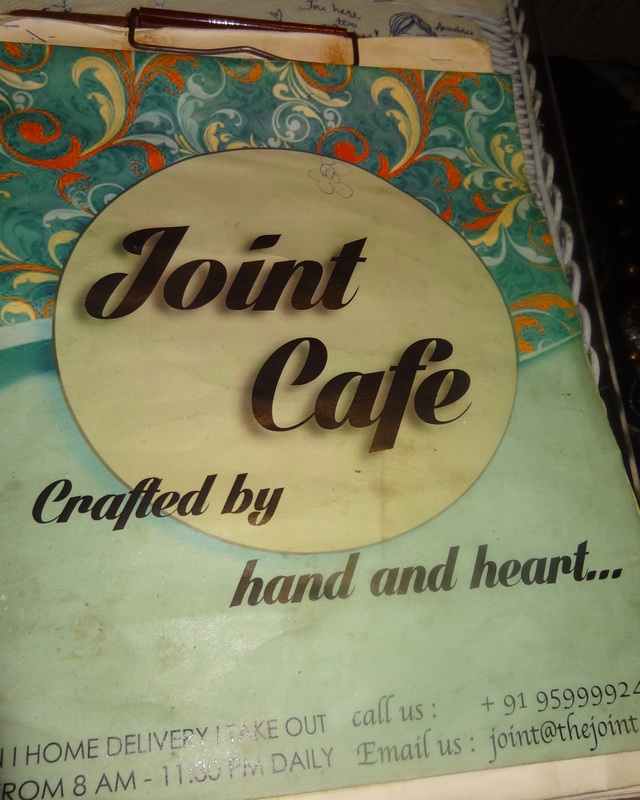 A special mention for the owner Vikrant- A very charming and courteous personality. He helped us decide what to order and made sure everything was right. I asked him a lot of questions on the food but he didn’t even once hesitate to answer or become irritated. Came to know from this that the place is not very old and is doing exceptionally well. Overall, a good place. I am definitely coming back here.